Add a little embroidered charm to your jewelry collection! 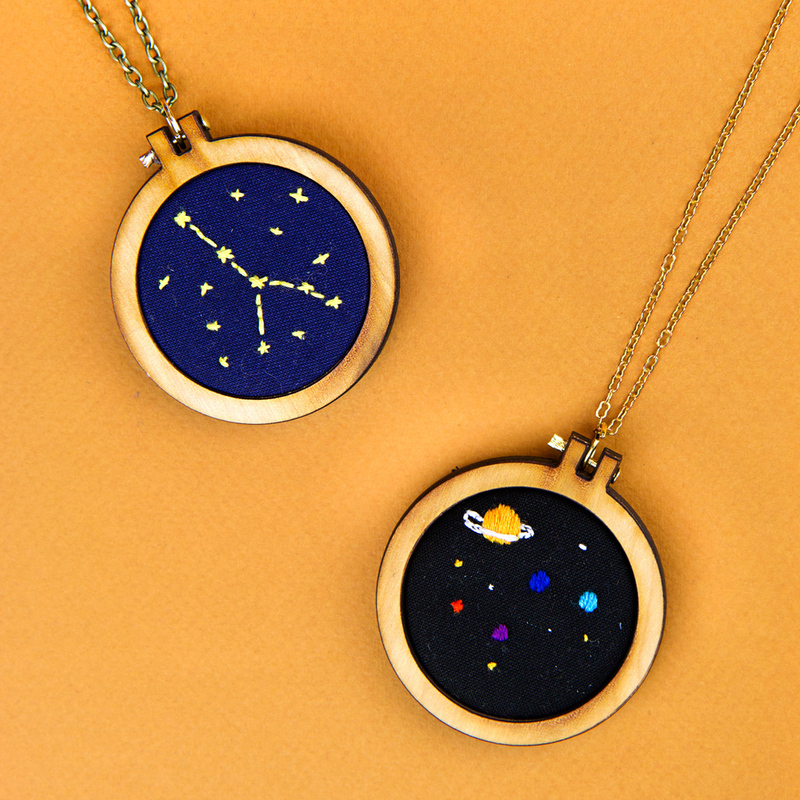 A super-cute, handmade pendant is just a class away. a rundown of classic embroidery stitches, including the split stitch, french knot and more. Don’t you worry about the materials and tools. We’ve got all that covered, including a colorful selection of threads and supplies from DMC and mini embroidery hoops from Dandelyne. We’ll also have yummy snacks for you to munch on. But BYOB! Good drinks and good crafting make a perfect combination. This CraftJam will be taught by amazing Alexi.